WE ARE NOT CURRENTLY TAKING NEW MEMBERSHIPS FOR 2019. IF YOU ARE INTERESTED IN BEING PLACED ON A WAITING LIST THEN PLEASE EMAIL US. The Blue Horizon Swimming Pool is an outdoor pool located at the rear of the Wellington Arts Centre in 8 Acre Lane, Wellington, Somerset. 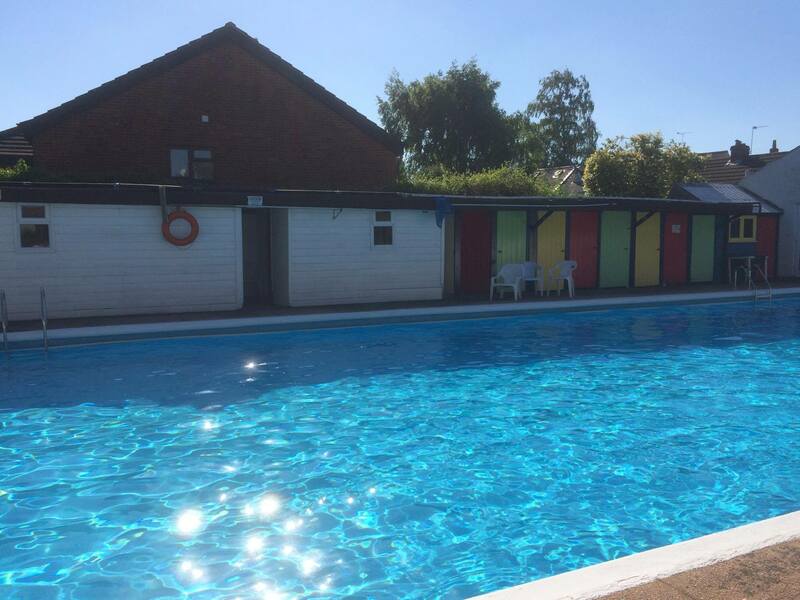 It is a small & friendly members only pool run entirely by volunteers and once you have paid your yearly membership fee, you can swim when you want. It is an unheated, non-lifeguarded pool and opens from mid-May to mid-September. For information about membership, please see the membership information page.